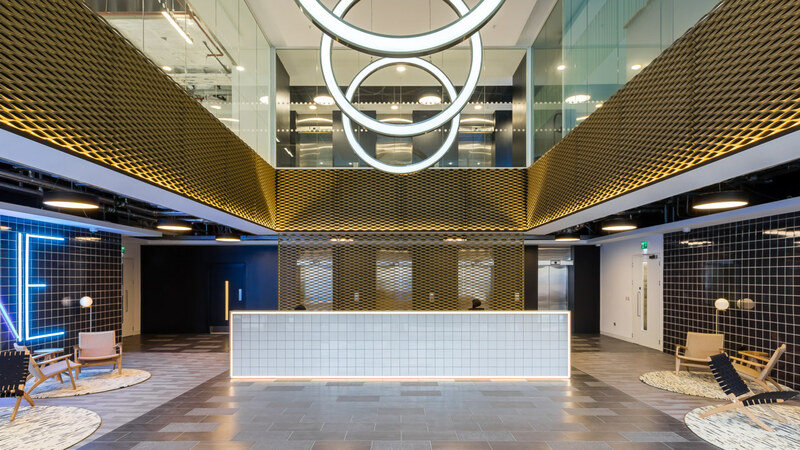 The objective was to create an iconic space to attract future occupants from the technology sector. 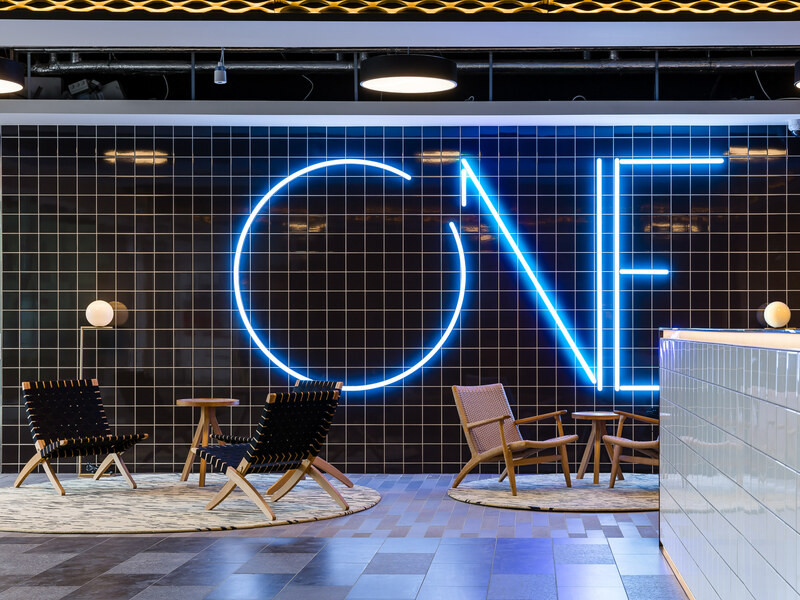 We held multiple conference calls with the New York-based client in order to conceptualise the final design. 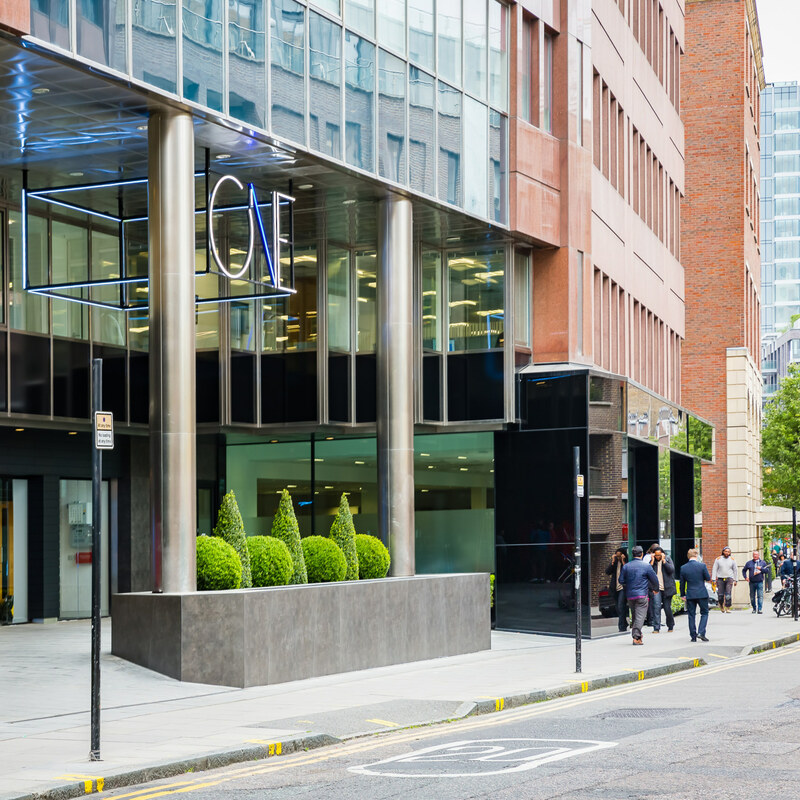 Our team completed a Cat A refurbishment of the external entrance, reception, WCs, basement showers and first floor of One Alie Street in Aldgate. 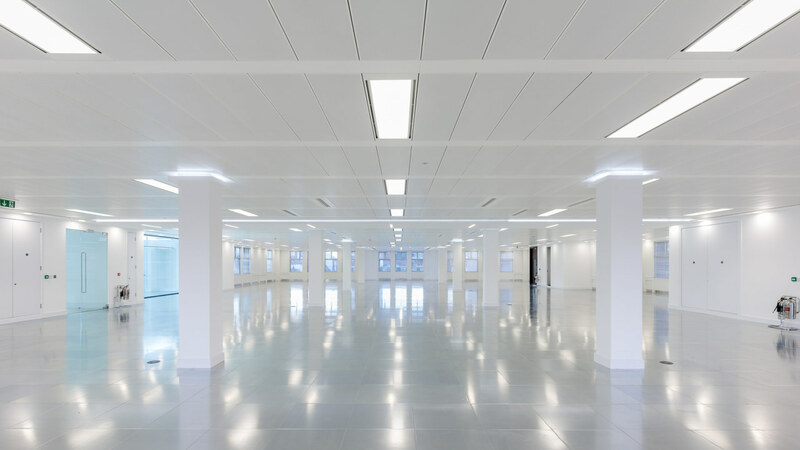 The project is an ongoing rolling refurbishment in line with existing tenant lease expiries. 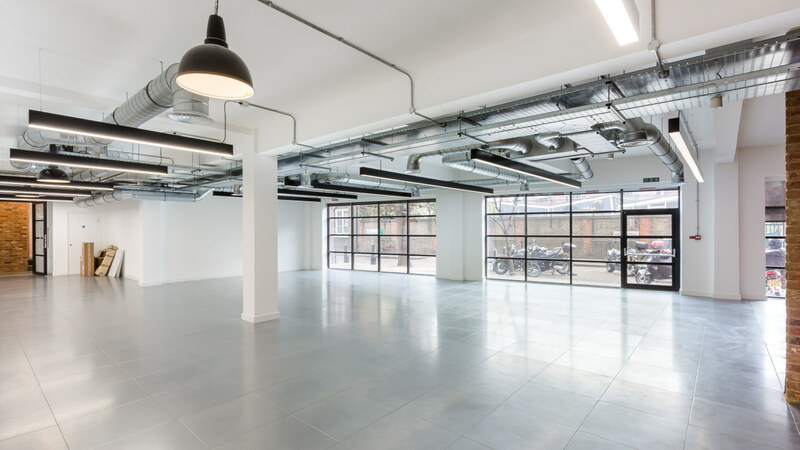 The client’s agent was closely involved in developing the phasing works to overcome any logistical challenges present when working in an occupied building. The final space provides tenants with a completely refreshed plan from the outside of the building into their associated office areas. 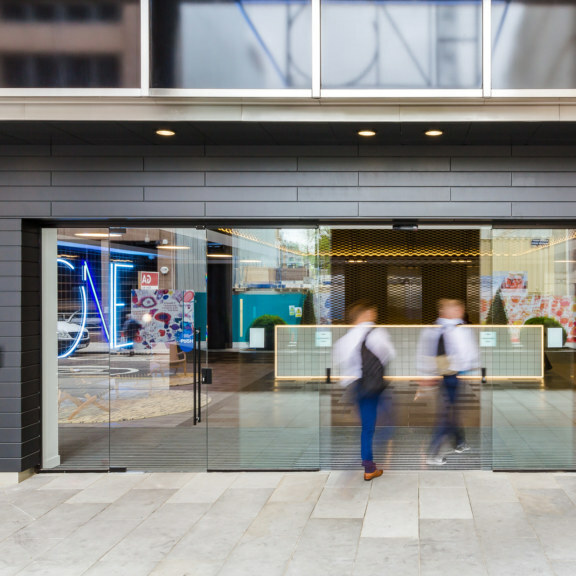 We installed new signage and planters to the external arrival space to create a sleek and sophisticated entrance. 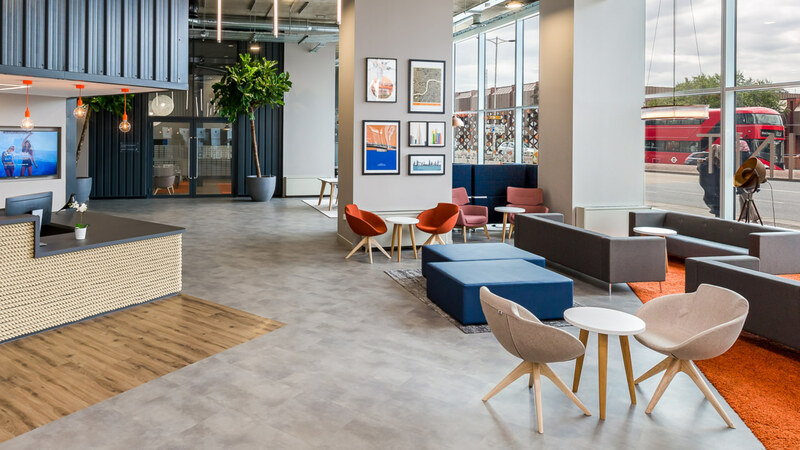 Our designers refreshed the entire reception to give it a bold, modern look, which creates a striking first impression. 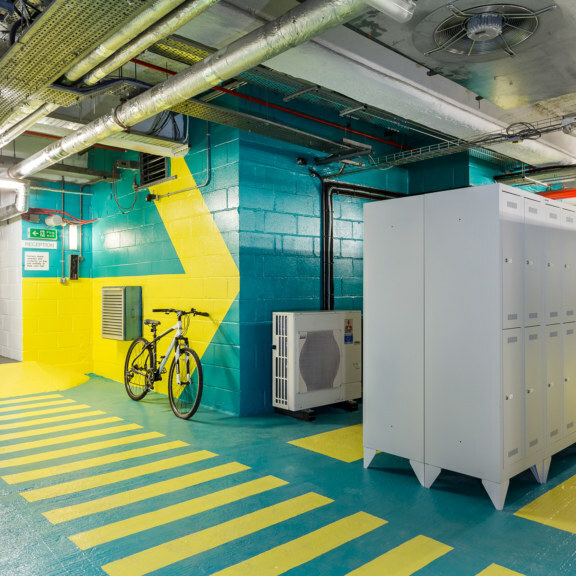 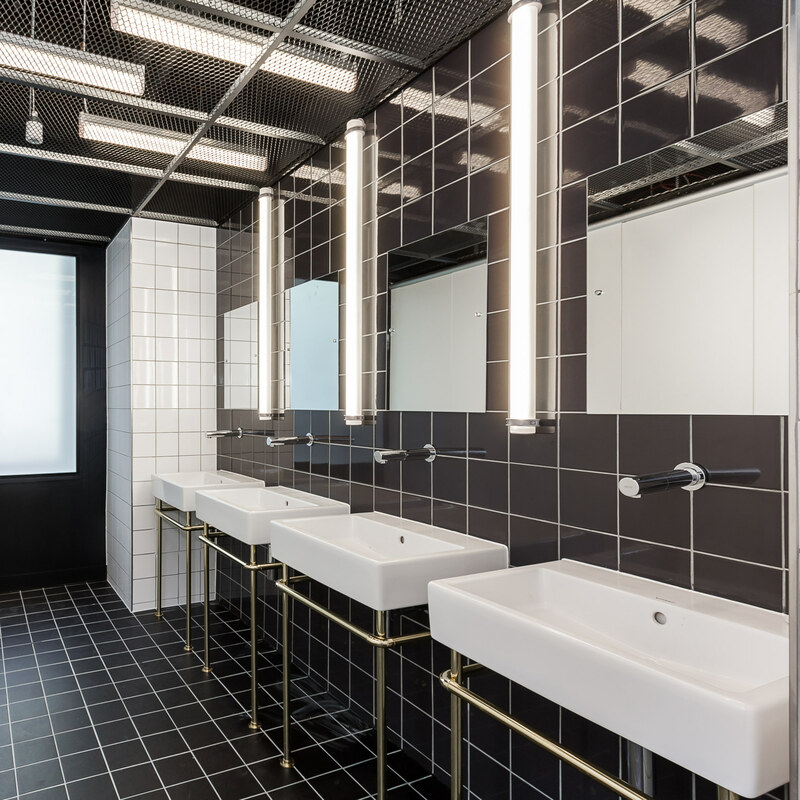 We utilised any unused space in the basement to create new showers, changing facilities, bike racks and storage lockers to provide prospective tenants with additional amenities. 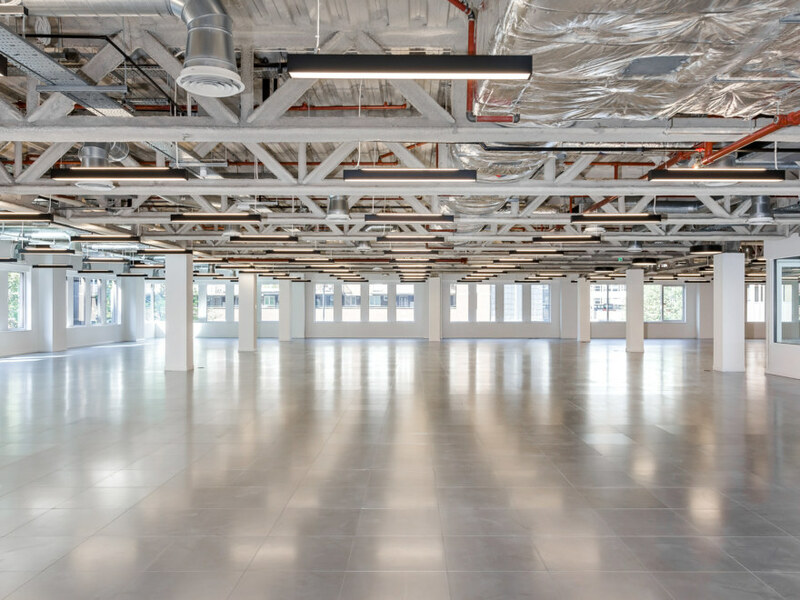 The high exposed ceilings are designed to open up the first floor office space, making the area appear larger and more accessible.